I know you are all “Vegased” out – but I have to add my own Vegas post to the mix. 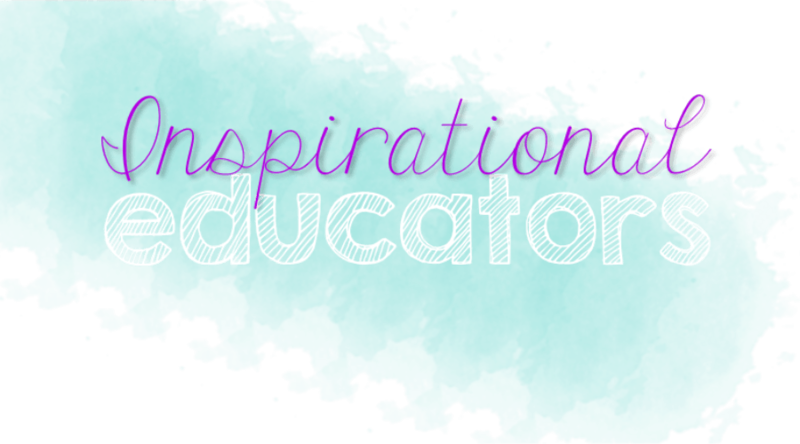 First of all – it was absolutely incredible to see HUNDREDS of inspired teachers all at once. Teachers are truly amazing. Regardless of the red tape, unaware politicians, poor decision making at the district level, etc… TEACHERS got together and celebrated their passion for education and student learning. On their own dime. I cannot say enough about that. It’s just phenomenal. In this group are some fabulous women who I finally got the pleasure to meet face-to-face! Top row: Primary Graffiti’s Cheryl, Surfin’ Through Second’s Corinna (awww… the flower! ), and Falling into First’s Stephanie. Middle: Deedee Wills is hilarious and just as sweet in person as she is here in cyberland. Bottom: Michelle from Fabulous in First (she’s so adorable!! ), Jennifer from First Grade Blue Skies is an absolute crack up! Angela from The Daily Alphabet is beautiful! She sat beside Kelley during the keynote. Rachelle (What the Teacher Wants) is amazing, inspiring and a great friend; Hadar (Miss Kindergarten) and Kristin (A Teeny Tiny Teacher) have been my real life friends for a while and I SUPER HEART them and appreciate them SO much – Hadar did an incredible job with her presentation on beginning blogging – so proud of her! ; Christy (Crayons and Whimsy) is so much fun to hang out with. I simply adore Kelley (Teacher Idea Factory). If you ever have the opportunity to see her present you MUST do it! Fluttering Through First Grade‘s Christy and Tammy are amazing friends and love to team up. It’s fabulous to work with them. It was so much fun watching them ROCK their very first presentation! Annie (Moffatt Girls) and I flew out on this adventure together and shared a room in Vegas. We are very close friends but couldn’t be farther apart on our schedules. Annie LOVES morning – like EARLY morning… I really dislike them and am often going to sleep as the sun is rising. I was so worried I’d keep her up while we were in Vegas – but I think I was actually quiet enough and even went to bed pretty early a couple of nights! ;P We had a blast. Deanna Jump is always so kind, sincere, gracious and humble. Her story mirrors so many of ours – a teacher who needs to make ends meet and does whatever it takes to make that happen. She brought me to tears during the keynote. And so did Paul Edelman (TpT founder). There were no kleenex! I was a mess! A lot of people have been asking how did people afford to make this trip because their school district doesn’t have funds to pay for professional development. I have to say everyone I spoke with saved up and paid for this trip on their own. Again, teachers are amazing! We constantly strive to achieve, provide more for our students and families and do our very best on very little. If you didn’t make it this year – start saving. The trip is worth it. The conference was great. Connecting with inspirational, dedicated and fabulous teachers from around the planet is incredible. Click on over to A Burst of First to check out some more Vegas recaps posted in her linky party. I’ll share about the teacher meet up tomorrow. The teacher loving people who sponsored the amazing giveaways are amazing – you’ll want to check them out! Plus we still have MORE to GIVE AWAY!